Finding second hand motorbikes in Milton has been made easier than before, because Budds’ Motorrad in Oakville is just a short distance away. Located just south of the QEW off of Bronte Road, it is easily accessible for Milton residents. We understand that finding second hand motorbikes can be a difficult feat for Milton residents, because there is an overwhelming amount of information online. However, at Budds’ Motorrad, we do our best to make your search for pre-owned motorcycles in Milton simple with our easy to use website. Simply select the Motorcycles menu option to see a selection of certified pre-owned motorcycles that we have at our dealership. Whether you’re looking for a roadster, adventure series, or heritage series, we’ve got you covered. 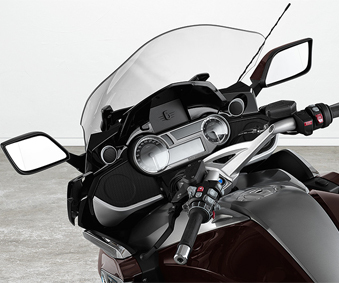 You can view our pre-owned motorcycles from the comfort of your own home. Many different factors play into choosing second hand motorbikes. Milton residents can rest assured that reliability and quality are part of what makes Budds’ Motorrad’s certified pre-owned motorcycles the right choice. All of our pre-owned motorcycles are thoroughly inspected before they reach our showroom. Also, once they arrive at our Oakville dealership, they are inspected again before you test drive them, to ensure the safety of all of our valued clients. At Budds’ Motorrad in Oakville, we are here to actively support you long after you’ve brought your dream motorcycle home. Whether you need replacement parts years down the road, or you just have to have your bike serviced, we are here to make sure that all second-hand motorbikes are serviced properly to ensure Milton residents have the best ride of their lives, and one to last for years down the road! We also offer all Milton residents 24-hour roadside assistance when they purchase second hand motorbikes from Budds’ Motorrad in Oakville. We value safety and it is our goal to ensure that we keep the roads safe in our growing communities. Visit Us at Budds’ Motorrad in Oakville today! Whether you’ve done all of your research and are ready to make the commitment today, or you want to browse our selection of second hand motorbikes, we encourage Milton residents to come down to our Oakville dealership to connect with us at Budds’ Motorrad. We understand the importance of getting firsthand experience, and we encourage you to book an appointment to test drive any of our premium second hand motorcycles. We have a wide selection, and each vehicle has its own unique qualities tailored to individual driving styles and needs. Feel free to book an appointment online or call us at Budds’ Motorrad to speak with one of our knowledgeable team members who would be happy to assist you!